What is Malware and How Can it Cripple Your Business? The Internet of Things (IoT) sounds like some sort of secret, underground world, but it’s actually a network we interact with every day. It’s made up of a range of physical devices from smartphones to thermostats, which are capable of taking in and exchanging data. Each of these devices has an IP address and can connect to the internet. 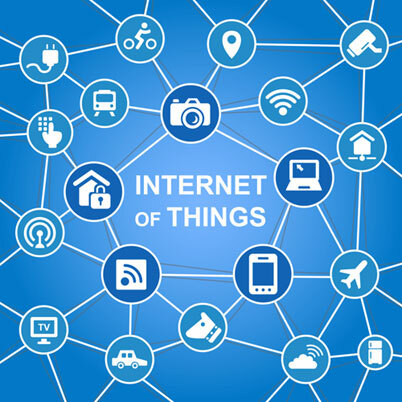 IoT is generally thought of as a network or infrastructure, which allows devices to be operated remotely. According to Gartner, the number of physical objects making up the Internet of Things should reach nearly 50B by 2020. For nefarious-minded cyber criminals, 50B IoT-enabled devices mean 50B more chances to access data, steal confidential information, and wreak havoc. Don’t let your private and professional information fall into the wrong hands; read on to learn how to identify and mitigate IoT security challenges. What Security Risks Does IoT Pose? There’s a lot of buzz surrounding the Internet of Things and its benefits for our global society. Connected devices have the capability to make our day-to-day activities easier and our lives more productive. Who doesn’t want an alarm clock that tells your coffee pot to turn on and start brewing right as you wake up? Still, there are some definite challenges associated with IoT. First, we must consider the fact that the devices which make up this network may make businesses more vulnerable to data breaches and cyber crime. The risk here is two-fold. IoT creates a massive amount of data, which is both hard to keep track of and quite appealing to would-be hackers. While it seems hard to believe that someone could access your most confidential data via a smartwatch or coffee pot, it is possible. Perhaps, the biggest risk of all is being unaware of such possibilities and the challenges associated with preventing them from happening at all. Just last year, WIRED reported on the vulnerabilities of internet-enabled vehicles in a truly shocking manner. Journalist Andy Greenberg had his Jeep Cherokee (knowingly) disabled by two hacking-researchers while driving in downtown St. Louis. The researchers were able to shut down the car’s brakes remotely. As a result of the experiment, Chrysler recalled 1.4M vehicles. But the problems don’t always lie in the devices themselves. Unsecured and poorly secured networks are the ideal entry points for hackers. Access to routers and network devices gives these cybercriminals the perfect opportunities to break through firewalls and take total control. Oft-forgotten about devices such as smart refrigerators can be quite appealing as well. With the right skill set, a hacker may take hold of your refrigerator to send spam, create botnets, and learn more about your network. Even the FTC has come out to urge business owners to safeguard the security and privacy of their employees and clients. Now more than ever, business owners and consumers alike need to select devices with the highest possible security credentials. How Can I Mitigate the Risks Associated with IoT? Following these guidelines will help you to enjoy the advantages of IoT without exposing your sensitive information to the world. At Prudential Associates, we know that information is your company’s greatest asset and protecting that information is one of your company’s most important responsibilities. Our information security specialists can help you mitigate IoT and other internet-related security risks to safeguard the health and success of your business. To learn more about our cyber security packages and services, contact our team today.